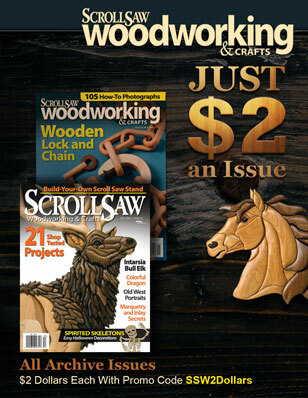 Sometimes it is difficult to fit a sanding drum or rotary tool into a tight section of an intarsia or fretwork design. You can always hand-sand, but that’s often tedious and uncomfortable. The best tool to reach for is often a rasp, but the utility of traditional rasps is limited because, like the metal files they are related to, they cut only on the push stroke. Enter the Kutzall Grit Hand Rasps. Kutzall has adapted their carbide-point bit technology and used it to create a set of grit hand rasps that cut on either a push or pull stroke. These tools, which come in a variety of shapes and grits, stand head and shoulders above traditional rasps, reaching areas many other tools will not. I use the coarse-grit rasps to remove wood quickly. Like coarse-grit carbide-point bits, these rasps will leave scratches on the wood. You can remove them with the finer-grit rasps, which leave only fine scratches on the wood, especially if you shape with, rather than across, the grain. I find the small fine-grit rasps excellent for straightening less-than-perfect fret cuts. 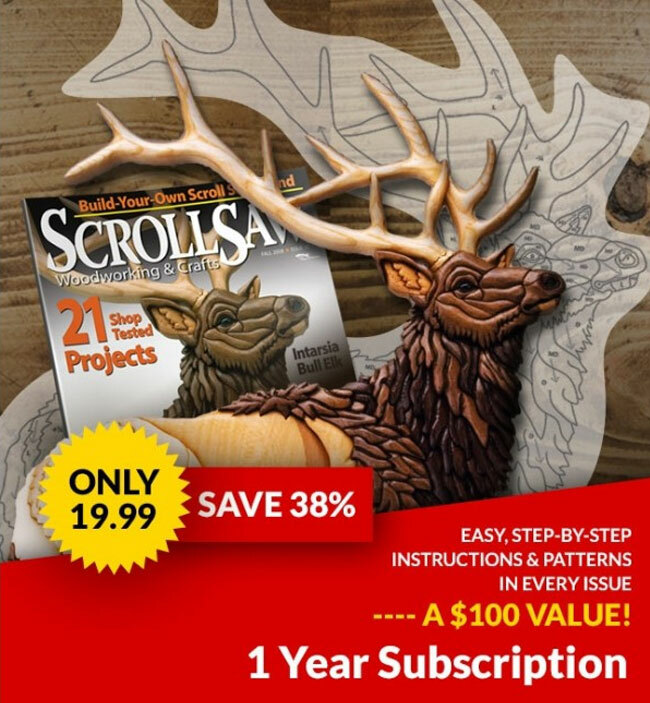 You can use the more aggressive rasps to rough-shape intarsia pieces to reduce sanding, which is especially useful when you’re working with exotic wood that can generate noxious dust. They never need sharpening, and you can easily clean them with oven cleaner or a butane torch. 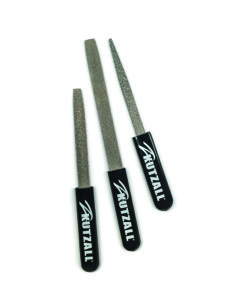 Kutzall Grit Hand Rasps range in price from $25 to $49, depending on the grit, shape, and size. For more information or to purchase, call 810-765-1000 or visit www.Kutzall.com.